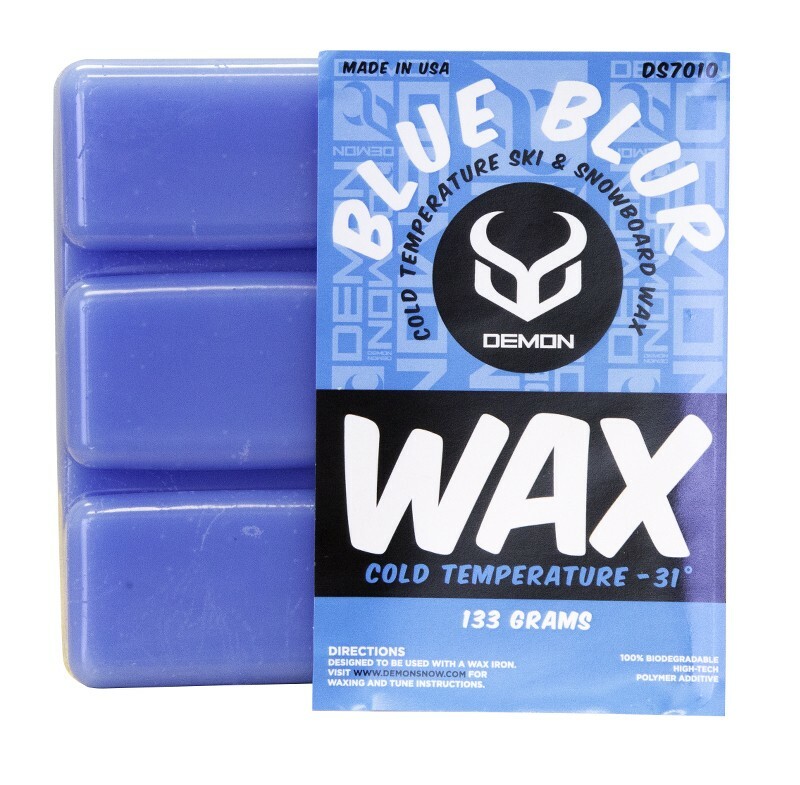 The Demon DS 7010 Blue Blur Wax - Suitable for Snowboards or Skis. 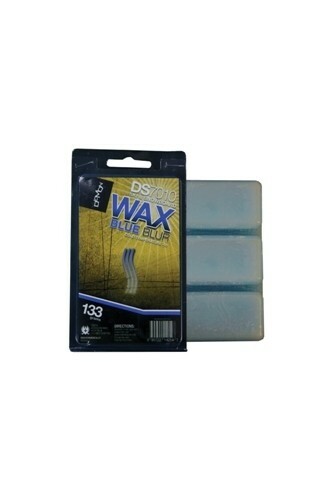 A base wax for cold temperatures below 0 degrees. 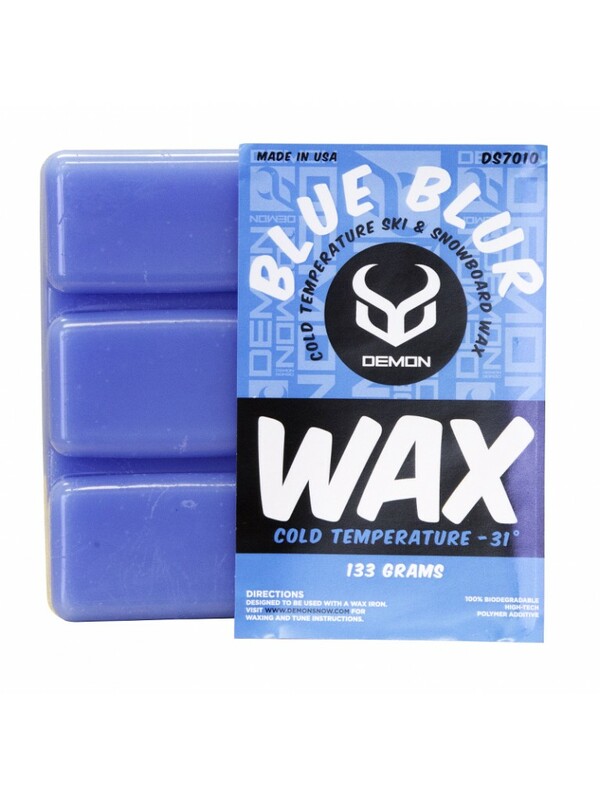 When its cold the board and skis alike start to stick to the snow, so BLUE BLUR WAX with its biodegradable high-tech polymer additive reduces this friction thereby freeing the board or skis to glide efficiently over the cold snow or ice in an enviromentally friendly way!